It has been said, that if you always do what you’ve always done, you will always get what you’ve always got. But I want to alter it slightly. If you always do what you’ve always done, you’ll always be what you’ve always been. You can’t ever be more than what you are currently if you don’t expand yourself beyond what you are currently doing. What is more, if we are not expanding ourselves, it is safe to assume that our subordinates are not either. People will mirror what they see, not what they hear. We must take time to look beyond where we are, and what we are currently doing to ask the question, where do I want to go, and what do I need to do to get there? Once we identify those tasks, those responsibilities, we must take action. When we take those actions, when we stretch ourselves to make our team or organization better, we will be able to encourage those we lead to follow our example as we coach them through the process. 1. Learn what is next – If you were to grow, or move forward what would it take to successfully exist there? Like wise, if you were to promote a subordinate, what would it take for them to succeed in that position? If they wait to learn that once they get there, it will be too late. 2. Partner with a subordinate on a task – While this seems minimal, it serves a greater purpose than the accomplishment of the task. This exercise will help you see how the subordinate works, and how you can better lead and coach them. Like wise, have your high performers do this with piers to hone their leadership skills. 3. Push for excellence – As leaders, if we cannot excel in what we are currently doing, what makes us think that we will excel in the future? The bad or disruptive habits we have now will still exist in the future, unless we do something about them now. If you have a subordinate who excels in what they do currently, rather than promoting them and giving them a whole new set of responsibilities, give them a portion of that position to see how they would handle it. What are some other checkpoints towards greater responsibility? It has been said that trust is gained over time but lost in a moment. The amount of time it takes to earn a leader’s trust is determined by the leader. Before you start calling me Captain Obvious, really think about that sentence. How long it takes for trust to be built is really determined by you, the leader. If your subordinates, employees, team members, etc. aren’t at the level of competency to where you can trust them it is because of 1 of 2 reasons. Either they are not capable of being competent of the tasks you desire for them to accomplish, or because they have not been given the opportunity to develop that competency, simultaneously earning your trust. This is not to say that once you delegate a task to a subordinate they will automatically and competently complete the task assigned to them. Building competency, trust, and ultimately a sense of responsibility will take time and effort. Andy Stanley, in his new book Deep & Wide, says that they don’t do any type of formal leadership training, rather they promote too soon so that the person will rise to the level of the opportunity. 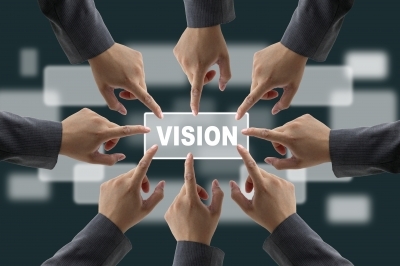 Provide a clear vision and objectives – Most subordinates are not initially inclined to seek out the vision and objectives their boss or leader has for them. In order to develop this sense of responsibility, we must initially provide them with our “picture” of winning. Involve them on projects – When subordinates are invited to join their leader on a project, there is sense of appreciation and pride they get from being recognized as one who is worthy of the task. Give them the opportunity to fail – If you’re waiting for a subordinate to be 100% ready, you will always be found waiting. Express your belief in their ability to adapt and rise to the challenge. This will encourage them preform in a way they’ve never have for you before. As always, this list is not comprehensive, but it is a good start. What other ways, or methods would you add for creating a sense of responsibility? When there is more than one option, how do you choose? It is easy to play “Monday morning quarterback.” As a leader, you will have many second guessing your decisions, even those decisions that were effective and successful. While it maybe unfair for others to second guess decisions after the fact, especially while we were making them in the moment, the truth is it happens from a 20/20 lens. As leaders we must develop a sense of hindsight during, or even before the moment we make the decisions. Focus on what is important – When presented with a variety of choices, our ability to recall stated goals and values, and then match our current options to those values and goals will allow us to weed out which choices are not conducive to our objective. Gather Information – Making informed decisions requires being informed. Leaders should be asking pertinent questions to those who will have the answers they need. Even if the first two questions are: what questions should I be asking, and to whom should I be asking them? Know your knowledge limits – The world “leader” is not synonymous with “smartest in the room,” much to the chagrin of many autocratic leaders. As leaders people often want us to make the final decision regardless of our knowledge in the area. When this happens seek council from someone who had the necessary skill set to make an informed decision. Prepare for the decision before you have to make it – As leaders we must be purposeful to set aside time to think forward about possible hurdles; how those hurdles could hurt us; and what actions we need to take to before, during, and after the hurdle pops up. This is obviously not a comprehensive list, but rather a solid start to improve your decision making. What helps you make decisions in the moment?